Kick-start your career in law or human rights by joining our Human Rights internship in Senegal. You’ll work closely with a local human rights organisation and help raise awareness of human rights in local communities. At the same time, you’ll also add practical human rights work experience to your CV. This could help your future career. Senegal has seen progress in protecting human rights in recent years. However, the country still has a way to go in terms of promoting and enforcing human rights. You’ll work on addressing these issues by writing a report focusing on a specific human rights topic. We share these reports with government officials to help inform policies. You’ll also support human rights professionals in their work with clients. This internship is based in Saint-Louis. This is a vibrant area and the perfect setting to immerse yourself in Senegalese culture. You’ll live with a host family, giving you a unique insight into life as a local. You need to speak advanced French. Is the Human Rights internship in Senegal right for me? This internship is ideal for you if you’re interested in pursuing a career in human rights or law. You’ll gain practical experience to boost your CV along with your confidence. It will also give you interesting points to talk about in applications and interviews. Best of all, you’ll become part of our ongoing efforts to support human rights work in Senegal. 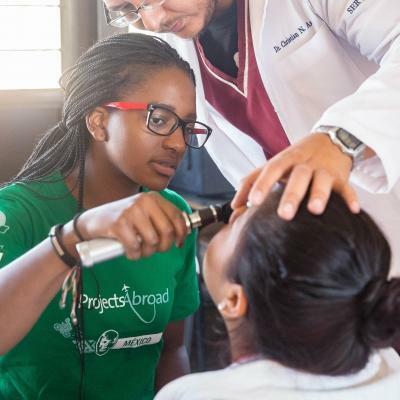 This internship is a great way to combine a hands-on learning experience with making a difference. You don’t need any qualifications or experience to join. You’ll support human rights professionals and you can reach out to our staff at any time for help. However, you’ll need to be able to speak French at an advanced level. This is because you’ll be working in French-speaking communities. 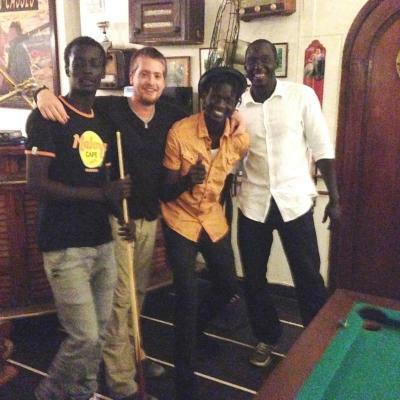 Our Human Rights placement in Senegal is available throughout the year. You can join whenever it suits your schedule. The minimum duration is three weeks, but we recommend staying longer to get the most out of your placement. What will I do on the Human Rights internship in Senegal? Throughout this Human Rights internship, you’ll be supported by local professionals. They’ll be there to guide you through writing your research report, which forms a big part of this project. They can also give you a unique insight into Senegalese law and the human rights situation in the country. You can focus on a range of different human rights issues depending on the cases being dealt with at the time. These include things like children’s rights and women’s rights. Working alongside human rights professionals means you can get an up-close look into their day-to-day lives. They can also answer all of your questions, giving you a learning experience far beyond what you’ll get from a textbook. One of your most important tasks during your internship is your research report. You’ll have the freedom to choose a topic that interests you, with local professionals available to guide you in what is relevant to local communities. However, don’t worry if you don’t have an idea for a specific topic. Your supervisor will be happy to help you with this. Once your report is completed, it will be added to a portfolio which is sent to government officials twice a year. They can then read your report and adjust policies based on your findings. This is a great platform for your work to make far reaching, long-term differences. For your report, you’ll need to conduct plenty of research. Your supervisor will help you with collecting your data. Depending on the topic you choose, this could be in the form of interviews with community members, analysing online resources or speaking with officials. If you’re interested in raising awareness of human rights, you’ll have the option to conduct awareness campaigns. This could be anything from running a workshop to putting together leaflets and posters to distribute. Awareness is an important step in making sure human rights are upheld. You’ll share knowledge on what constitutes a human rights infringement and how to address these infringements. To make sure you have a rich learning experience while also helping address common human rights issues, we’ve partnered with the Bureau Local de Défense et de Promotion des Droits Humains (BLDPDH). This human rights organisation is a joint initiative of Projects Abroad and local Senegalese authorities. It is also mainly funded by Projects Abroad, making intern support even more important to keep the organisation running. Where in Senegal will I work? This internship is based in St Louis, a city in the north west region of Senegal. It is located on the coast, close to the mouth of the Senegal River. The population of St Louis is about 180,000. Much of your work will take place in the offices of BLDPDH. They are equipped with internet and resources to help you conduct your research. You’ll also be working in some local communities. Facilities here are often quite basic. St Louis is rich in natural beauty and it’s the perfect getaway for nature lovers. 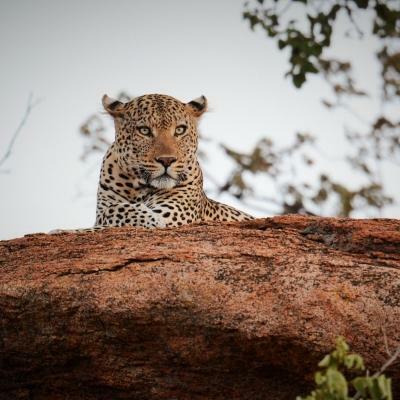 With an eclectic mix of white-sand beaches, marshes, and the desert-like Sahel lined with acacia trees, it’s home to a host of beautiful birds and animals. During your free time, you can relax along the shore of the Langue de Barbarie or visit a vibrant market. 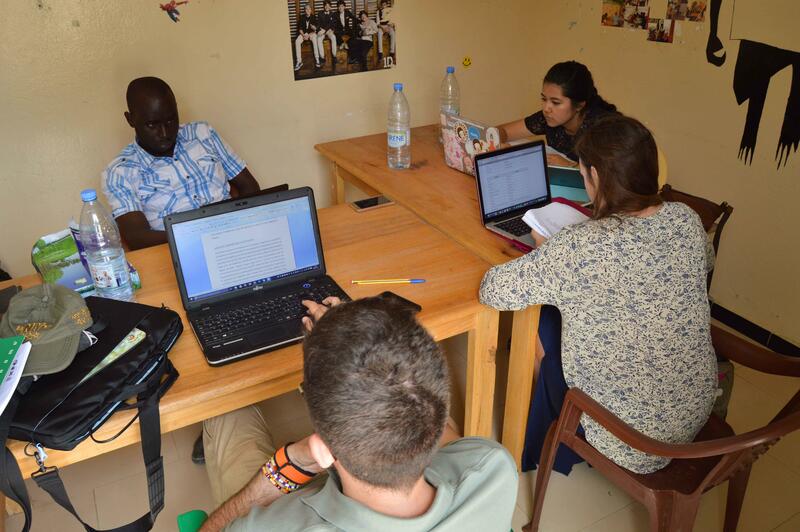 A typical day on the Human Rights placement in Senegal runs from 9am to 6.30pm. You’ll have a long break from 12.30pm to 4pm to have lunch with your host family, rest and relax. You’ll have your evenings and weekends free. You might start your day working in the BLDPDH office. You’ll conduct research for your report or develop surveys to distribute to community members. You’ll also spend time working on your report. You’ll break for lunch, after which you can develop awareness campaign materials. You could also go out into communities to ask survey questions or have a workshop with a BLDPDH staff member on legal issues in Senegal. You can also spend some time hearing about specific cases and how they are being addressed. You’ll spend your evenings enjoying delicious home-cooked meals with your host family. You can then spend some time sightseeing and exploring Saint-Louis. 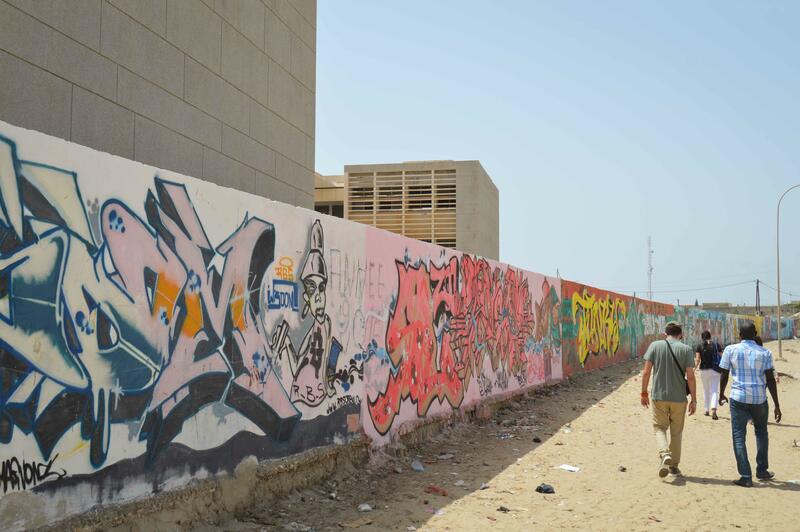 What are the aims and impact of the Human Rights internship in Senegal? The main aim of this project is to support the work of local human rights organisations and raise awareness of important issues. 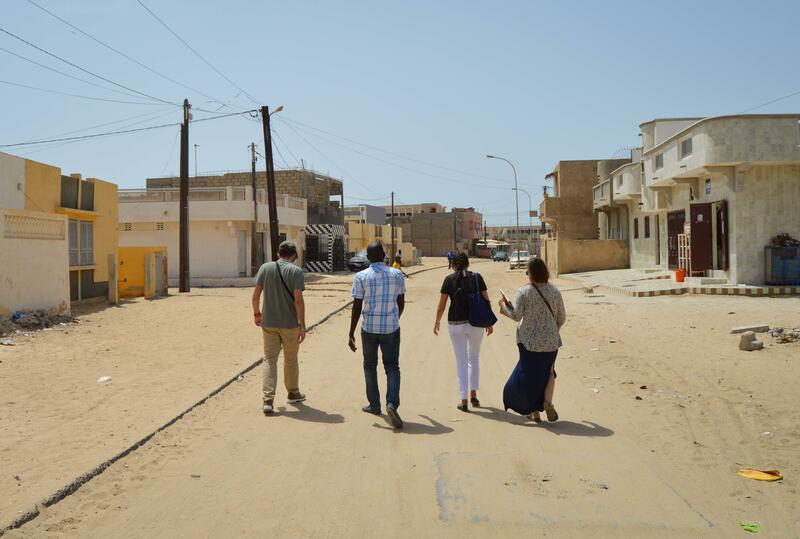 We need the help of interns like you to lobby for protecting basic human rights in Senegal. The report you write will inform policies, which will have far-reaching consequences on the human rights situation in Senegal. Although you won’t see the fruits of your labour right away, you can be sure you’re contributing to long-term changes. You will also help with awareness campaigns. This ties in with our aim to increase awareness of human rights. Raising awareness of human rights helps people know when their rights are infringed, and what to do when this happens. Through this project, we also aim to provide you with practical human rights experience which you can use in your career. You’ll learn about human rights issues in a developing country first-hand. This will give you unique insights that can inform the kind of human rights work you could do at home or in other countries. 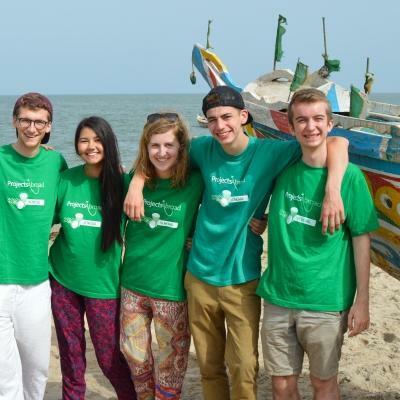 Join our Human Rights internship in Senegal and learn about human rights and social justice while making a difference. After completing the first year of my degree in International Development and French, I was very interested in taking part in a Human Rights project in Senegal. It gave me the opportunity to work on many cases involving domestic violence, sexual harassment, and pre-arranged marriage. You'll stay with a host family in St Louis. They will welcome you into their home, eager to share their customs and have you teach them about your own culture. We believe that this is the best way to immerse yourself in the culture of Senegal and have a truly unique experience. Senegal is a beautiful, vibrant West African country. There’s plenty to do in the evenings and over the weekends during your volunteer trip. Our offices are based in St Louis, a coastal city bordered by white-sand beaches. It’s here that you’ll see colourful pirogues, which are wooden fishing boats painted in cheerful colours and patterns. You can also take a trip to the Langue de Barbarie or the National Park of the Birds of Djoudj. These are both ideal locations for leisurely afternoon bird watching. While you’re in Senegal, be sure to browse through some of the local markets. You can sharpen your bartering skills and buy tasty snacks and souvenirs. The many cafes are also perfect for enjoying local dishes. There will likely be many other volunteers in Senegal with you, so you can also spend your free time bonding with them. This is a chance to make connections with like-minded people from around the world, as you explore together.